As was earlier mentioned here >>> http://chidinmainspirations.blogspot.com/2014/08/step-by-step-guide-on-how-to-prepare.html?spref=tw … on Step By Step Guide On How To Prepare Coconut Rice, a new segment on my blog under lifestyle will be for sharing food recipes and also inspiring people (both men and women) on how to cook foods or on how to cook in general. Especially on foods you've always wanted to learn how to cook. Cos eating out every time is really pretty expensive. Right? P.S- You can also send me an email on the food recipe or on guides on how to cook certain foods you want me to share with others. And don't worry, I will always give honour to whom honour is due by acknowledging you. Back to today's post. 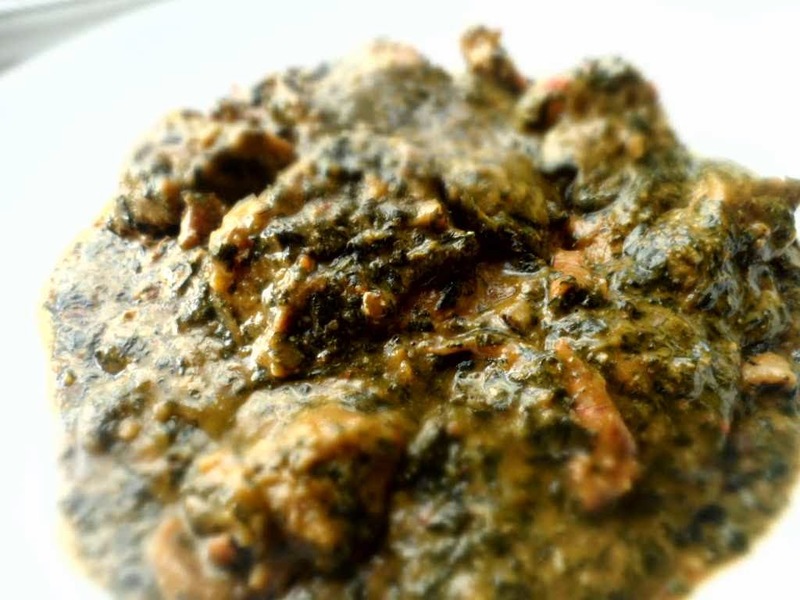 Bitter leaf soup popularly known as Ofe Onugbu is one of the native foods of the Igbos (people from the Eastern part of Nigeria). Most people if not everyone from the Eastern part of Nigeria has eaten/tasted this soup before. This soup is also eaten by people from other parts of Nigeria and other parts of the world as a whole where Africans meals are served. 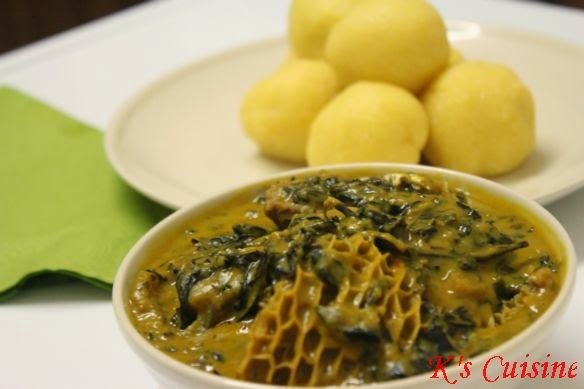 Ofe Onugbu is a delicious and a very delicate meal and today I will be sharing with you on how to prepare this delicious meal. 1) Get the quantity of the leaves you want. Then match it to remove the bitterness with water for atleast 4 to 5 times. When you are done, keep in a bowl. 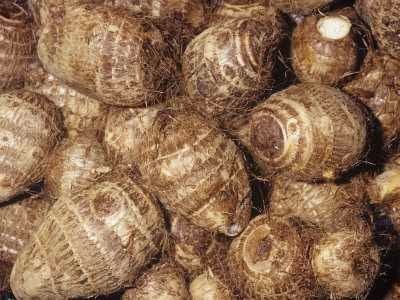 If you want to use coco yam (pictured above) as the soup thicker, use the right quantity. Choosing the right quantity is dependent on the quantity of your bitter leaves (See step 1). After sorting out the quantity you want, go ahead and wash the coco yam. Wash atleast 2 to 3 times to remove the dirts and sand in it/them. After washing, cook. Cook until it is soft. When it is soft, bring it down from the fire, drain the water with a sieve. Remove the back of the coco yam and pound. Pound till there is no more lump in it/them. After pounding, keep in a bowl. 3) Boil your fish, meat and stock-fish. Season it/them with salt to taste, maggi, grinded crayfish, little onions, pepper amongst others. P.S- You can put any kind of fish or meat you so desire. 4) After they (See step 3) are ready , put your bitter leaf (See step 1) inside the pot. Then put your coco yam (See step 2) on top of the bitter leaf. Pour your red oil (Palm oil) inside the pot. P.S- The stock (the fish/meat and stock fish water) will serve as your water for the soup. Please your red oil should be in moderation. Remember, we are trying to live, look and feel healthy and too much oil is not good for the body or for our health. 5) Put grinded oil beans seed commonly known as Ogili in Igbo inside the pot. Please do note that the amount/quantity of the grinded oil beans seed depends on the quantity of your bitter leaf. After putting your grinded oil beans seed inside the pot, stir the soup. 6) Leave to boil for 30 to 40 minutes and Viola! Your bitter leaf soup is ready. Please do not forget to eat in moderation. This is also a good meal idea for Cheat Day. You can find out what Cheat Day means here >>> chidinmainspirations.blogspot.com/2014/06/cheat-day-dieting.html?spref=tw … in case you missed it. I hope you have been inspired. Please be kind enough to share this post with others to inspire them as well. I love hearing from you, so please do feel free to share your thoughts, suggestions or contributions with me by commenting below.